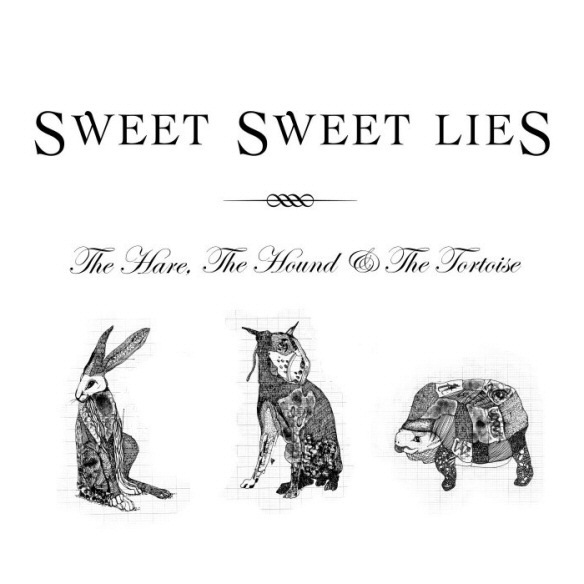 This year saw the release of Sweet Sweet Lies’ fantastic debut album The Hare, The Hound, The Tortoise. Don’t just take our word about how good it was – Simon Price gave it five stars in the Independent. 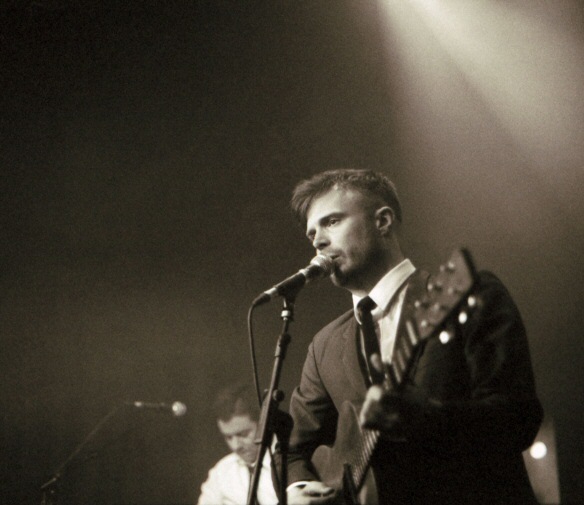 With their dark lyrics and sharp suits Sweet Sweet Lies proved that they were a force to be reckoned with. 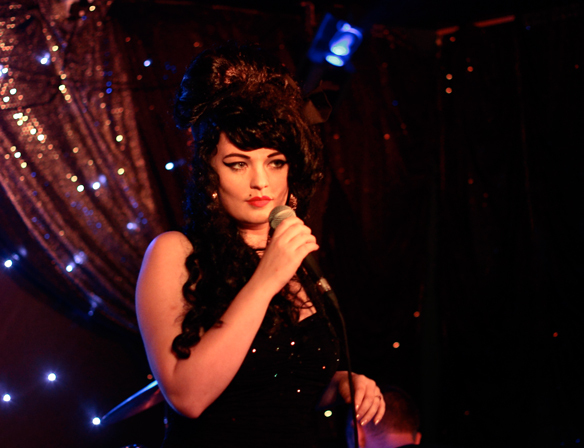 Not every event in Brighton can boast an Amy Winehouse impersonator as compere, but then not every event is Club Berlin, a new live night at the Jive Monkey which had it’s second outing this week. If an Amy Winehouse impersonator is a bit drunk and can’t remember all of the words to the likes of Rehab or Valerie, does that ruin the experience or make it more authentic? And was the drunkenness part of the act? As I arrived, Dominic Von Trapp from Sweet Sweet Lies was performing a solo acoustic set. 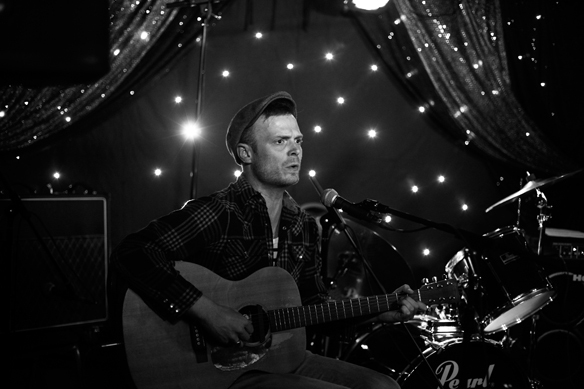 Accompanied on ukulele and guitar, Dom sang a host of tracks, most of which were familiar from his band’s album The Hare, The Hound & The Tortoise. 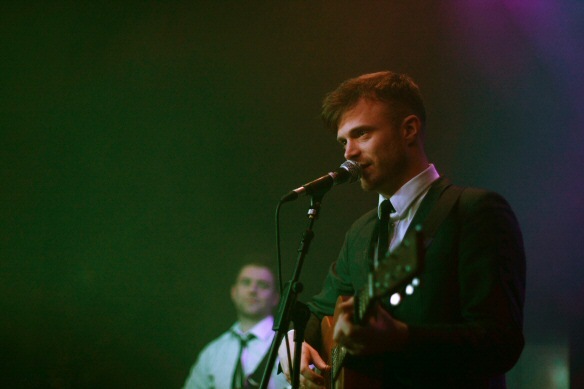 The songs stood up well – the songwriting is solid and Dom’s distinctive voice and delivery is one of the things that makes Sweet Sweet Lies special. Next up was Jennifer Left, also playing with a pared down band to fit onto the tiny stage. No bass or drums this time around, but she was joined by her guitarist and incredibly talented multi-instrumentalist Helen, who played keyboard, trumpet, accordion and xylophone. Jennifer Left looked more like a pop star than ever, with her heavy eye make up and cool new bob making her look like a dark haired Dusty Springfield. To cope with the reduced set up the band played up the jazzier elements of their songs, which worked especially well on their cover of New Order’s Temptation, and rounded up with a preview of their new single due in October which I’m sure we’ll be writing more about nearer the time. Finally we had Call Me Jolene, who appeared the most band-like with guitar, bass, drum and vocals, but were still reduced in numbers. Rather than play a stripped down set as the other bands had, they played to a backing track – rather disconcerting when a piano track starts playing mid-song with no keyboard player on stage! 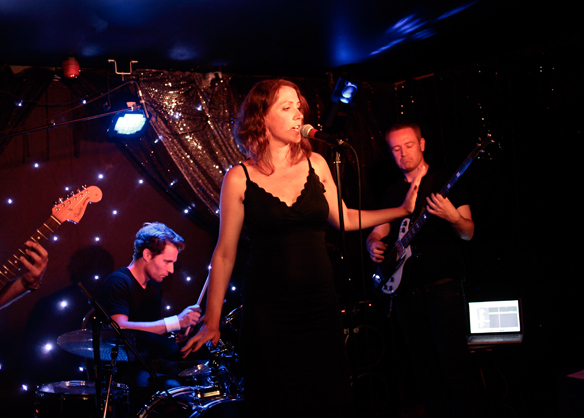 Despite the presence of ex-Gene frontman Martin Rossiter on bass, Call Me Jolene are very much about Sophie Pointer: her vocals are the centrepiece of each of the songs they played and she was the only member of the band to engage with the audience. The songs themselves are slick adult rock songs, one pitched as a future James Bond theme, and another pitched as Jolene’s response to Dolly Parton’s song that the band took their name from. Some of the band’s songs I’ve heard on Soundcloud have a bit of a country feel, but this wasn’t especially evident live – I’d love to hear more of that coming through. Club Berlin returns to the Jive Monkey on Thursday 20th Sept and features IDC, Bela Emerson, Das Fenster and Saffron Reichenbacker. If you were to trace the genealogy of the music I love, you can follow pretty much everything I listen to now back to a cassette I had in my youth back in the early nineties. It had two albums, one on each side, as was the way back when home taping rather than illegal downloading was killing the music industry. If you left the house you didn’t go with an iPod with forty or fifty albums, you went with the tape that was in your walkman. And if you didn’t get around to changing the tape that often, you ended up listening to the same albums over and over, which meant that the music left a very strong impression. On one side of the tape was Happiness by The Beloved, but this review has got nothing to do with that. On the other side was an album of alternative country-folk tinged indie, with clever lyrics, predominantly about breaking hearts and drinking. My first listen to the Sweet Sweet Lies album took me right back. The passage of time hasn’t been especially kind to The Wonderstuff, whose album Never Loved Elvis (and consequently their other albums too) meant so much then and continues to mean a lot. Thankfully Sweet Sweet Lies have carefully skirted around some of the Wonderstuff’s biggest issues. Lead singer Dominic Von Trapp isn’t an a annoying gobshite like Miles Hunt, and since the nineties are long gone no one in their right mind would dream of dressing like a Grebo (I’ll let you google it) – the band have opted for the complete other end of the spectrum and dress in suits for their stage wear, making them a strong contender for the smartest band in town. My second visit to The Hare, The Hound & The Tortoise gave me a completely different perspective. I’d had the album on repeat on my iPod and it started up two thirds of the way through. While openers Capital of Iceland and Overrated Girlfriend might have given a first impression of a band of upbeat fiddles and guitars, and Winter of Discontent hints at more flamenco / mariachi direction with it’s trumpet and Spanish guitar, there’s a lot to be gained by sticking around to listen to the rest of the album too, where genres – square pegs trying to fit into round holes at the best of times – drip away to reveal songwriting in the classic style. Tracks like No-one Will Love You (Like I Do) and Too Drunk To Love are more likely to recall The Divine Comedy or Gene, both in their vocal style and intelligent lyrics (in fact, Sweet Sweet Lies supported Martin Rossiter on a recent solo tour). Singing duties are split between the two songwriters Dominic Von Trapp and Michael Hayes, with Dominic’s distinctive style, more crooner than modern pop star, making you truly believe that he would readily drink you under the table then steal your girlfriend. The high quality of the songwriting as well as the consistency, strength and dark humour in the imagery in the lyrics throughout put Sweet Sweet Lies not just head and shoulders above most other bands in Brighton, but everything else that’s on offer too. This is an incredibly accomplished debut that the band should be truly proud of. The Hare, The Hound & The Tortoise by Sweet Sweet Lies is out now on Something Nothing Records, and the Brighton launch for the album is at the Jive Monkey on Steine Street on 24th February. Fresh from receiving a four star review in Uncut for their new album The Hare, The Hound & The Tortoise, and the London album launch last week, Sweet Sweet Lies have score a five star review in The Independent, courtesy of fellow Brightonian Simon Price. Well done! We’ll be reviewing it ourselves once we’ve got our hands on a copy. It’s out in the shops next Monday (February 20th), and they’re holding hometown launch on Friday 24th February at The Jive Monkey on Steine Street (formerly Om Bar). 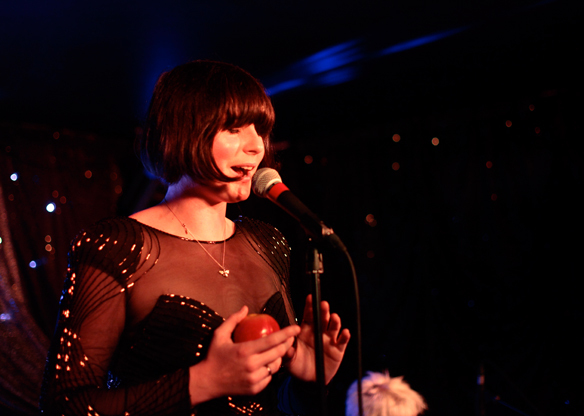 Exciting news this week – new videos from two of my favourite Brighton bands – Sweet Sweet Lies and The Moulettes. Sweet Sweet Lies’ debut album is out in the spring (and has already had a four star review in Uncut). The lead single is called The Day I Change, and right now, you can only watch the video at NME.com. I’ll update the link once it’s more widely availably, but until then, click though here to take a look. When is a headliner not a headliner? For the gig I went to this evening, the answer could be that the listed band were on early, at 8.30pm. Or it could be that all three bands on the bill could easily be headliners in their own right. I’m quite sure I’ve probably seen all three of these bands headlining their own gigs over the past couple of years. The gig itself was only a fiver – which would be a bargain to see any of these bands, let alone all three, but it wasn’t until I arrived that I realised that also included a shot of Tuaca in the bargain too. Bonus! First up were Kovak, on criminally early at 7.30. But what a great way to start – they’ve honed their electro pop over many gigs in Brighton over the past few years, and now know exactly how to get things warmed up. They even threw in their cover of Atomic which they’ve been playing the last few times I’ve seen them. Next up were the band billed as headliners – Sweet Sweet Lies. After a few technical hitches with the keyboards, they kicked off their classic brand of guitar led pop. They’ve been secretly working hard since the last time I saw them a couple of years ago, and now everything seems even more polished and professional than ever. Like Kovak, if things go their way, they could be headed for big things. Finally, we had Mean Poppa Lean. It’s impossible not to like Mean Poppa Lean. Even if you don’t like funk, you can’t help but be seduced by their silliness, their outfits, and the fact that they’re just a great band. So it’s best just to join them in their fun. 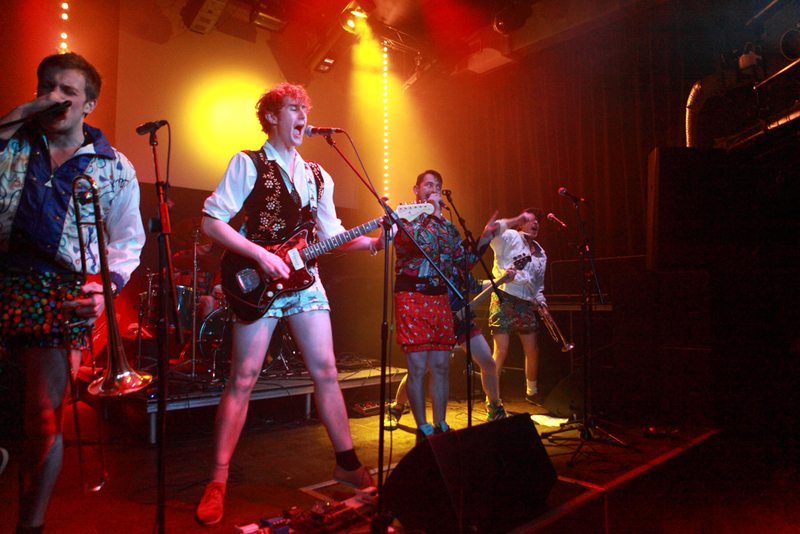 It only took them a couple of songs before pretty much the whole band were just stripped down to their crazy home made pantaloons / boxer shorts. And that’s probably why they were put on last!